Media stereotypes and misinformation about Muslims are nothing new. In a post-election world, Muslims are finding more allies who often want to help but don't know much about us. More and more of our fellow Americans have questions and need answers. In on online forum recently, someone asked me about books I would recommend to those wishing to learn about Muslims. I'm happy that people want to learn -- even though I think meeting Muslims is far more valuable than reading about them -- but searching the sea of available choices can be difficult and dangerous. For instance, search for "Muslim" or "Islam" on Amazon, and the array of books that pop up is worrying. Not because there are so many, but because many of them are horrifyingly inaccurate and often downright false. Many books that promise "the truth" about Muslims are actually full of hatred and bigotry. You can learn about Sharia from authors who have no clue what it means, or about the tenets of Islam from authors whose bias can be seen from a mile away. You might think a website called "the religion of peace" would be somewhat positive, but it turns out to spew vile hatred against a billion people who actually practice Islam as a religion of peace and love. But knowledge is power, so here's my list of books you can and should read if you want to know more about Muslims and Islam. It's the list I recommend to my students when I train law enforcement and educational institutions, or speak at churches and synagogues. It's a list of my favorites thus far. 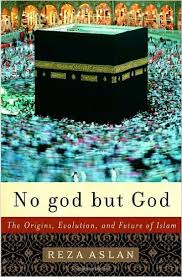 No God but God by Reza Aslan is an oldie but goody about the origins of Islam. 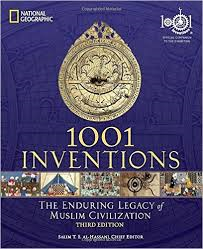 If you want to know how the religion of Islam started, what the early Muslims were like and how the landscape changed politically, culturally and in terms of faith as Islam spread across the world, this book is for you. My favorite part about this book is the fact that Aslan writes as a scholar, not as a Muslim, so you don't get any of the religious fervor of belief that often turns away non-Muslims. 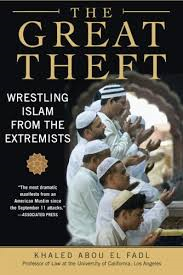 The Great Theft: Wrestling Islam from the Extremists by Khaled Abou El Fadl is a comprehensive account of how Muslims in some parts of the world turned away from rational thought and began dabbling in literal interpretations, extremism and sometimes violence. It is really an excellent way to understand some of the political upheavals we are seeing in Muslim countries today, including the rise of militant ideologies. 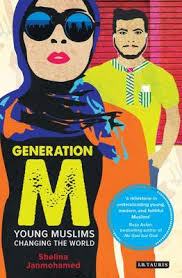 Generation M by Shelina Janmohamed is a survey of Muslim youth: what they think, feel and do that makes them a unique force in the world today. They are millennials with a religious twist, and this book paints a vivid picture of them as they grapple with entrepreneurship, technology, fashion, food, consumerism, climate change and so much more. 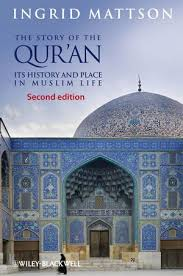 The Story of the Quran by Ingrid Mattson is a short book, but it clarifies the religious, cultural and even political significance of Islam's holy book, the Quran. What role does this book play in a Muslim's life, who wrote it, what feelings do we have for it? All these questions and more are answered by Mattson, who is a religious scholar and teacher. 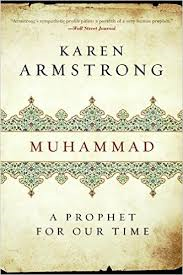 Muhammad: A Prophet for Our Time by Karen Armstrong is a must-read biography of the person revered by all Muslims. Armstrong has written several books about Islam, and all are worth reading, but this one is helpful for those who do not know much about the Prophet. It is an unbiased, historical book that is much-needed today, regardless of your religious beliefs. 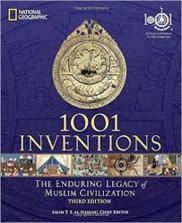 1001 Inventions: The Enduring Legacy of Muslim Civilizations by Salim Al-Hassanni is a must-read for all the critics of Islam who wonder what Muslims have ever given this world. It's a National Geographic presentation -- it also offers a kids' version -- that showcases all the various scientific and technological creations dreamed up by Muslims and still in use today. Hint: Muslim contributions are invaluable! 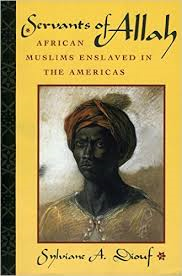 Servants of Allah: African Muslims Enslaved in the Americas by Sylviane A. Diouf shatters stereotypes that all Muslims are Arab, South Asian or newly arrived in this country. It offers meticulous research showing the arrival of Islam with African slaves and the struggle for religious survival. 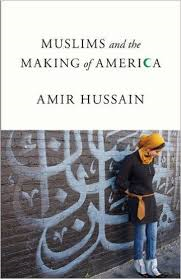 Muslims and the Making of America by Amir Hussain is another book about Muslims in America, but from a surprisingly different perspective. Hussain highlights the aspects of American popular culture where Muslims have made an indelible mark: music, politics, architecture and sports. It's a short read but highly informative. 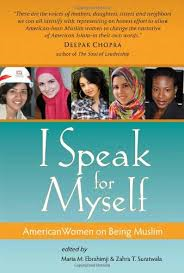 I Speak for Myself: American Women on Being Muslim is a series of essays written by 40 American Muslim women about their experiences in their faith journey. Although their religion may be the same, their personal narratives and backgrounds are completely different, showing the diversity of Islam in a beautiful and eye-opening way. There is also a partner essay collection about Muslim American men. 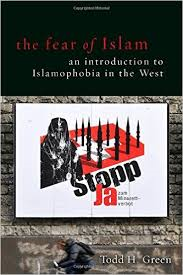 The Fear of Islam: An Introduction of Islamophobia in the West by Todd H. Green is a comprehensive reader on Islamophobia, or an irrational fear of Muslims. From the historical origins of this phenomenon to current issues including media stereotypes, this book will help educate and inform without being preachy. This article was originally published in Wear Your Voice magazine under the title Want to Learn More About Muslims? Pick Up a Book. Or 10. The link to the original posting is here.